There are several questions that people have been asking about brake boosters and this post has been written to educate people by answering those questions. I understand that not everyone is an expert and they deserve to know more about them. It could also be that someone told you to research about brake boosters. You are lucky because you will find everything you need to know here and there is no need for you to look elsewhere. What ﻿I﻿s a ﻿B﻿rake ﻿B﻿ooster? How ﻿D﻿oes a Brake ﻿B﻿ooster ﻿W﻿ork? How To ﻿T﻿ell if a ﻿B﻿rake ﻿B﻿ooster is ﻿B﻿ad? How To ﻿﻿﻿﻿T﻿e﻿﻿﻿st a ﻿B﻿rake ﻿B﻿ooster? How ﻿T﻿o ﻿R﻿eplace a ﻿B﻿rake ﻿B﻿ooster? It is a cylinder setup that’s been innovated for the purpose of reducing the pressure on the pedal needed for braking. It involves a booster setup to move with the main cylinder to provide a higher hydraulic braking pressure or so that lesser force is needed for the brake pedal through a brake-booster push-rod. How Does a Brake Booster Work? When you step on the brake pedal, the linkage that you have on the pedal will cause a shaft to move forward to respond to your foot, while this is happening, it will connect with the brake pedal and master cylinder. There is a diaphragm in the brake booster that divides the interior into two that is both in a partial vacuum. While your foot is on the brake pedal, it will cause the valve in the booster to open that will let the air into one side of the booster. This kind of pressure on one side is going to help in pushing the brake master cylinder piston forward to interact with the brake pedal, which this is going to slow down your vehicle. How To Tell if a Brake Booster is Bad? Disc brakes made it possible for power-boosted braking systems to exist in every vehicle today. Disc brakes need a brake booster so the pedal effort is manageable for the driver, but you will know if they go bad. When you need to exert more pressure on the hard pedal than usual, and it takes a longer distance before your car stops, then you have a bad brake booster. The hard pedal is an indicator that there is not enough boosting power. How To Test a Brake Booster? If you want to perform this test, you need to park your car first, do not step on the brake pedal, and then turn the ignition to start the engine. Allow the engine to stay idle for two minutes and don’t do anything. Right before turning off the engine, step on the brake pedal and hold it there. Turn the car engine off, while you continue to step on the pedal for 30 seconds more. If you do not feel anything from the pedal when the engine starts, this means that the brake booster is not working. You can do another test by performing one on the vacuum system because this gives power to the brake booster. In order to perform this test, you have to start and run the engine while staying at medium speed, then turn the ignition off and remove your foot from the gas. Let 1 minute and a half past before applying the brakes. The vacuum boost should be felt on about two braking applications. If you don’t feel anything, the vacuum might have a system leak. You first have to know where the brake booster is and this can be found adjacent to the main cylinder. You are going to find 4 screws for mounting that you will see protruding through the booster, which is hard to miss. The booster is also connected to the brake pedal in the car’s interior. This is where you are going to start working on replacing the brake booster. Begin by looking for the booster rod that goes through the firewall, which is connected to the brake pedal on the car’s interior. Normally, you will find a cotter pin that’s been used to hold the rod in place to the pedal, but some use nuts. While detaching the fasteners in doing this job, make sure to keep the nuts in place or cotter pins, and other types of fasteners because a new brake booster does not usually come with fasteners. Set the fasteners aside by removing them and then slide the rod off from the brake pedal. Look for the brake vacuum line and disconnect it so it is no longer linked to the booster. In the compartment of the engine, you will find four bolts that were placed to secure the booster. These fasteners have to be removed and then wiggle the brake booster from the main cylinder. The seal between the two needs to be kept because the new one normally does not come with it. Detach the brake booster. This is the time when you can already install the brake booster on the mounting screws. Make the nuts tighter on the bolts to the main cylinder. The push rod needs to be inserted through the firewall. You can do this by hand so that the threads will not get ruined. Attach the vacuum hose, and then attach the nuts to the 4 mounting screws. Attach the push rod to the brake pedal again using the fasteners. After you have replaced the booster, you would have to make the brakes bleed. This means that bleeding the brakes would flush out the old brake fluid out that was used in the main cylinder, brake lines, cylinders and calipers, before putting fresh fluid. 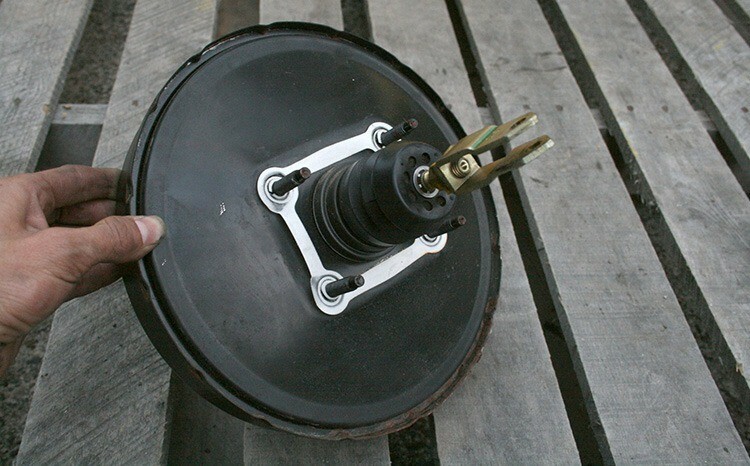 These are the most common questions that people normally ask about brake boosters. I do understand that you might be new to handling brake boosters, so you can also use this as a guide. You will not be misled if you believe the answers in this post because they have been tried and tested. Be careful in doing any of them, especially if it’s your first time because you don’t want to have a ruined braking system. Always think about your safety.